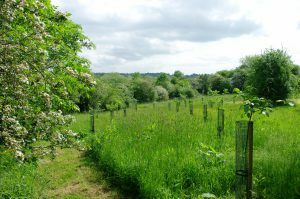 ‘We are local Northaw residents and we are delighted that the Community Orchard continues to develop and offer interesting and instructive events. Utilising otherwise neglected land to grow fruit trees offers our local community a very welcome resource which can also give educational opportunities to local schools and other groups. 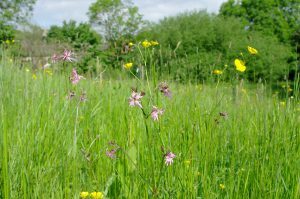 It is so good to see such healthy,well cared for trees and wild flowers all of which will also benefit the bees, butterflies and other insects that are in decline. Our Story – Mud, Sweat and Volunteers! Back in 2010 a few of us formed Northaw Transition, in our little village in South Hertfordshire. We ran a number of small scale initiatives involving the local village and primary school; battery and clothes recycling projects, environmental audits, a school orchard, educational awareness campaigns and stalls, a community garden, a community beehive and fruit harvesting projects. In this we were supported generously by local and national businesses, other community organisations, our Parish Council and individual volunteers. 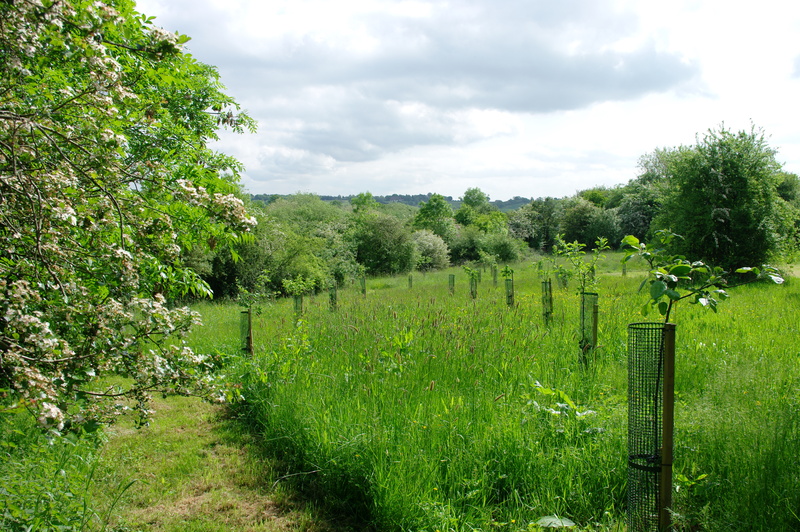 In early 2011 we applied for a Community Green Space Challenge grant from Grantscape, for a community orchard. We were supported again during this process by our Parish Council, with the Borough Council offering us some unused land for rent in the heart of the village. After working hard to complete the grant application in a very short time and run a public consultation on the proposals, we were awarded the full grant in September 2011. In order to lease the site for the orchard we had to become a company, so we opted to become a not-for-profit Community Interest Company – which we did in September that year. For the next three years we wrangled endlessly against constant obstacles and bureaucracy, to agree a lease on fair terms. Thankfully the grant provider was very understanding to our plight, extending deadlines for the grant on many occasions. The 15 year peppercorn lease was finally signed in September 2014, with the Parish Council as a main lessee and our group subleasing from them. 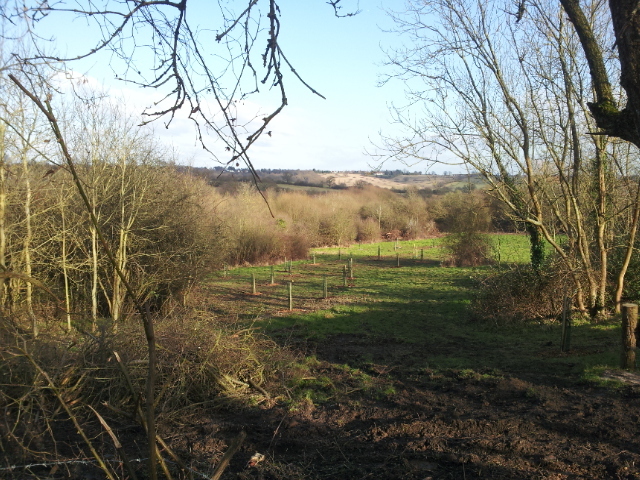 Work finally started on the ground in October 2014, and had to be completed in line with the grant terms by December 2014, condensing the proposed 18 month project set up period into three very intense months, in the cold bleak muddy winter! Against the elements, with the help of many awesome volunteers the site was prepared and planted on time, with finishing touches spilling into the new year. With much relief we celebrated our opening day in June 2015 and our first Apple Day the following October. We are now really excited about the future, developing the project to meet our financial overheads (for insurance and equipment maintenance mainly). We have a beautiful yurt on site, which we rent to support the orchard, a marquee which we also hire out, and our beehives – for which we have plenty of bee-suits for up-coming learning projects. 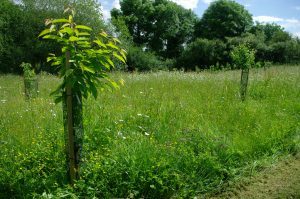 We have planted over 80 fruit and nut trees on the 5 acre site, a willow bed with a huge variety of cuttings and lots of hedging. We can’t wait to develop the project more with an educational focus moving forward. If you would like to get in touch to chat about the project or come and visit, please contact us.